Tech at Night: In the post-landline era, there is no phone monopoly. Out of touch privacy regulation coming. 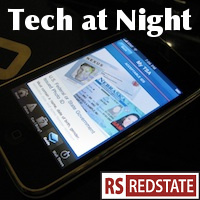 Tech at Night: FTC gives in on Google. Why the anti-SOPA coalition dissolved. Notes on possible legislation: beware the Democrat wing of the quasi-pro-liberty coalition Darrell Issa has forged. Even guys like Ron Wyden will grow government when they want, as we’re seeing with his proposed data cap law. It would be a good idea though to check the FTC with regulation. Sadly I don’t see that one happening under Obama and Dingy Harry. In a reference that was topical back when the Hobbit was coming out, Fred Campbell makes a point on Internet regulation. The First Amendment is an important part of the Constitution to remember when it comes to these issues, he reminds us. Liberty matters, and that’s why Net Neutrality is wrong. EU looking at Samsung on antitrust due to Samsung’s answering Apple on PATENT WARS by using standards-essential LTE patents. Pass the popcorn. How about some Google? Is Google taking charge of Android which will make it more competitive against iOS, but will hinder certain OEMs who deploy the OS badly? Also, this headline and piece are slightly misleading. Google is not forcing anyone to use Google+, and it is possible to avoid it. The fact is, nobody cares about privacy. They use Facebook. They use Google. And all Google has to do in order to gather information in Google+ is give people the opportunity to give it. Google clearly is working hard to get people to use its service, though. And a final note: FCC is trying to make FAA look bad by trying to make things easier for people using computers on planes.